With school starting soon, we have been focusing on getting back-to-school gear ready. This is also a good time to take children over 6-months of age for a yearly eye examination that is covered by OHIP. Success at school depends on how much children can comfortably see the blackboard and their books without squinting or rubbing their eyes. For some children, eyeglasses can mean the difference between thriving at school and falling behind. The recent Loblaw Kids Eye Health Survey revealed that 35 per cent of parents do not plan to have their child's eyes tested before school starts, as almost one-in-three parents think their child "sees fine". Even if we feel our child has no symptoms or diagnosed vision problems, we should still get their eyes tested annually. The Optical team at Real Canadian Superstore has been raising awareness about the importance of adding an eye exam to our back-to-school checklist by educating parents about the importance of eye health. Eye protection is really important, especially when playing certain high-risk sports. Many children suffer sports-related eye injuries every year and many of these injuries are preventable. All children should be wearing appropriate, protective eyewear when playing sports; regular prescription eyeglasses or contact lenses aren't enough. In the case of an eye injury occurring, regardless of the severity, you need to go to the emergency room or see an ophthalmologist immediately. Even minor injuries can cause significant damage and delaying medical attention can result in permanent vision loss or blindness. Eye protection isn't limited to athletes; even spectators need to protect their eyes from harmful UV rays when cheering on their team. Optical Departments are conveniently located at select local Loblaw grocery stores, making it easy to get our child's eyes checked. They offer the Kids See Free program that provides children from the ages 4-10 years old with any frame valued up to $49 and kids safe polycarbonate lenses for free. 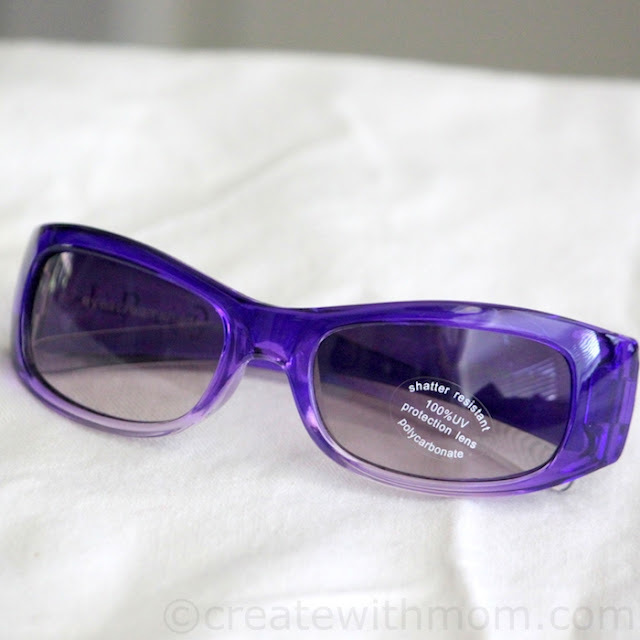 If parents wish to upgrade the frame or add any coatings to the lenses, they are responsible for paying the difference. In Ontario this program is available at Real Canadian Superstore, Loblaws, Zehrs, Your Independent Grocer, and Fortinos stores with optical departments. very informative post! So very important to get their eyes checked! It's so important to have children's eyes examined to be sure they are seeing well. The Kid's See Free program sounds wonderful!! other illnesses and conditions that can be addressed and corrected.Thanks for the great post!! Very important info and a great deal. I love that Real Canadian Superstore gives out free glasses to children! My 6 year old son wears glasses and we have his eyes checked twice a year.